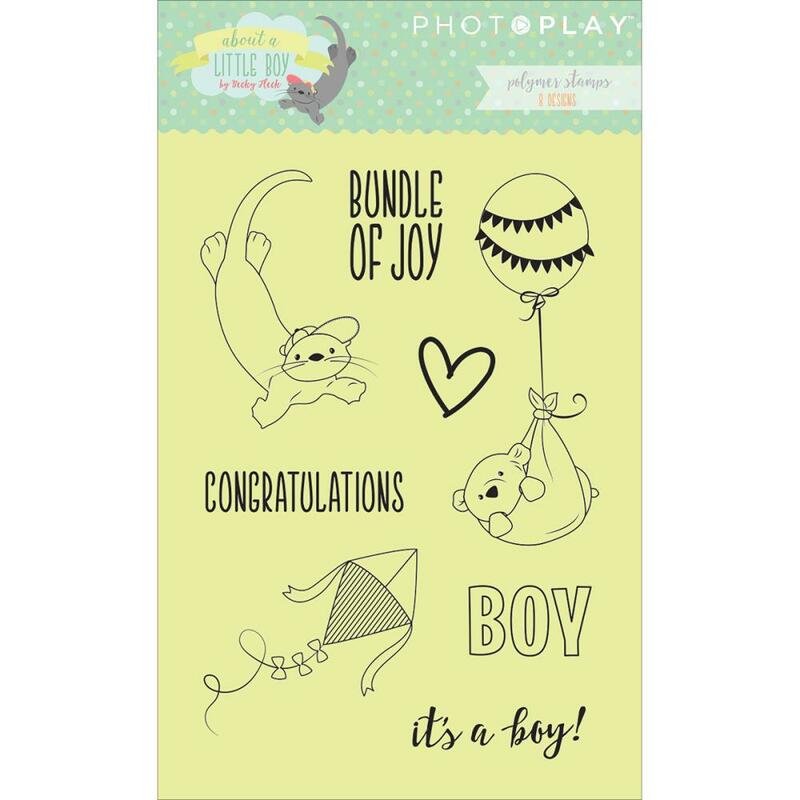 This package contains a variety of Clear Stamps that coordinate with the Boy Icons that you'll find in the About A Little Boy Collection. Collection by Photo Play Paper. Look for coordinating Designer Papers, Ephemera Die Cuts, Sticker Sheet and Decorative Etched Dies.